One of the most important, but least understood, aspects of the Paris Agreement is that it legally obliges every country to deepen its emission reduction targets every five years. I call this five-yearly cycle the Agreement’s beating heart, because it provides the life force for achieving the temperature goals that will keep the worst impacts of global warming at bay. In 2015, we all knew that the initial round of commitments was not deep enough to get us on track for a safer climate future. So we created a first ‘heartbeat moment’ in 2020 for countries to renew or update their targets, reflecting their highest possible national ambition. The work starts now to ensure that the Paris Agreement’s first heartbeat is loud and strong. In September, California is hosting leaders from India, China and all over the world at the Global Climate Action Summit. The massive gathering will showcase the cutting edge of local and regional climate action, and offer a platform for new commitments that accelerate the low-carbon transformation that is well underway. In doing so, regions, cities and companies will show national leaders how much space and opportunity there is for deeper national targets. We know that for smaller countries still grappling with the technical and administrative task of analyzing their economic sectors and measuring emissions, increasing ambition will not be easy. Financial and practical assistance for the development of climate action plans remains essential to help these countries leapfrog fossil fuels to power their growth with clean energy. For the bigger, more affluent countries, the obstacles are often more political than practical. But, when reviewing progress and new opportunities for rapid decarbonization, many will find that despite some political headwinds, profound shifts in the real economy have them well ahead of where they thought they would be when they set their targets in 2015. In particular, some of the solutions, such as renewable energy, are rapidly becoming cheaper than the polluting alternatives, and their deployment is growing exponentially - in many cases much faster than economists predicted. With renewable energy production predicted to be cheaper than fossil fuels in all markets by 2020 (something that was unimaginable in 2015), investors are very quickly decarbonizing their portfolios. In 2017, new global investments in clean energy ($333 billion) greatly outstripped new fossil fuel investments ($144 billion). The momentum is irreversible and unstoppable. The political response has been encouraging. 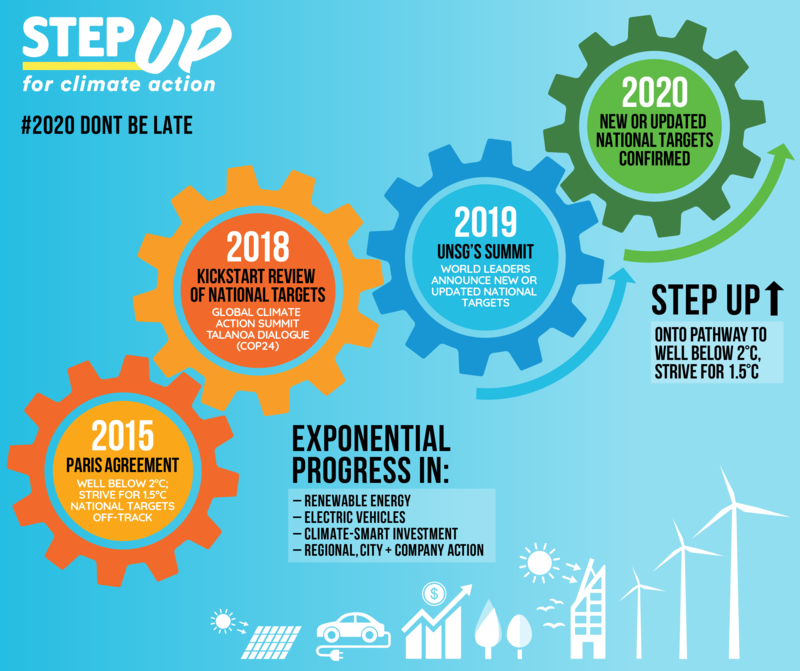 In April, a group of seven EU countries called for the EU to deepen its 2030 emissions target, while the declaration from the Macron-Merkel summit in June proposed early 2020 as the timeline for doing so. We have also heard that both China and India are tracking well ahead of their Paris targets. This leaves space for possible announcements of bigger, bolder goals by President Xi and Prime Minister Modi at the UN Secretary-General’s Climate Summit in September 2019. This will build on progress made in San Francisco this September, and will be a critical signal for the success of the Paris heartbeat in 2020. China, India and the EU account for more than 40% of global emissions. Working together, they could help convince other big and mid-sized economies, such as those in Asia and Latin America, that they have ample room and economic incentives to accelerate. For example, Chile’s recent decision to phase out coal will see it well ahead of its Paris target as we move into the next decade. Time is of the essence. As we have been rudely reminded this summer, there is no more room in the atmosphere for our carbon pollution. Going forward from 2020, annual global greenhouse gas emissions need to be half of what they were in the preceding decade. The good news is that countries and leaders who understand the need for speed are accelerating their climate action and also accelerating their growth. A new industrial revolution is upon us, one that puts economic development and environmental protection on a level playing field. 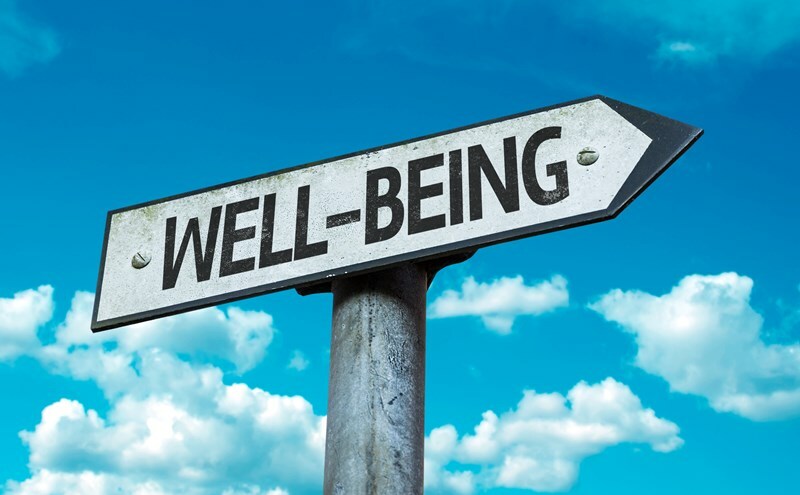 One that understands that ecological health and balance is intrinsic to long term well-being and prosperity. Those who embrace this change will ultimately win the race.